You're here! You're ready to go! Wahoo! It's going to be amazing! Before you run out and go wild though, there are a few things to know so that you can be prepared to have the most fun possible. Stay positive. 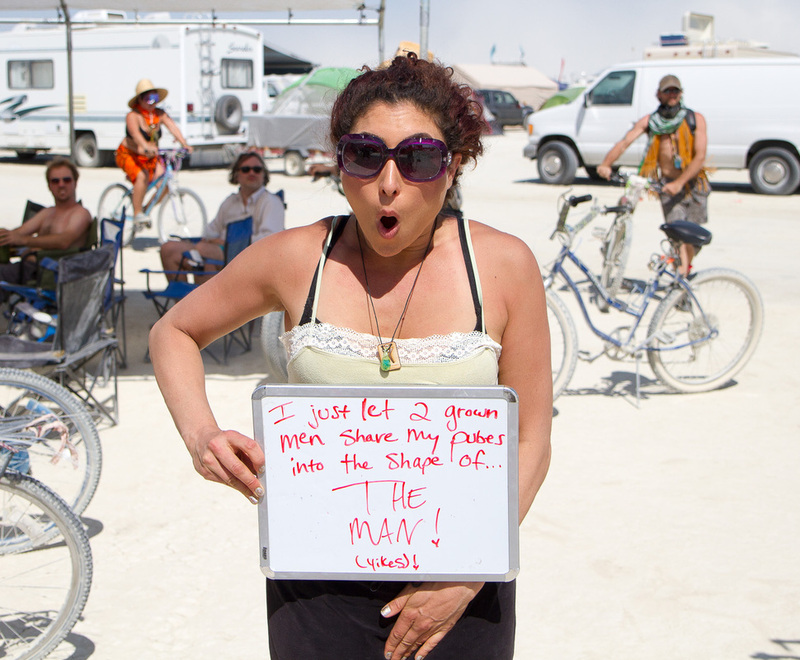 Burning Man is a chaotic environment, and things won't always go your way. Remember that you're there to enjoy yourself and help other people enjoy themselves. There's nothing to freak out about as long as you remain calm, and if you get in trouble, ask for help. Don't leave camp beyond a block or two without your goggles, dust mask, and water. If it's night, don't leave camp at all without some kind of lighting that will make you visible from front and back. You don't want to get hit by an art car or a bicycle that can't see you. Don't be a darktard (someone who isn't lit up at night and is therefore a danger to themselves and others). Stay hydrated. Don't underestimate how dry it is out there. Drink a lot of water. Wear sun protection. Being badly sunburned on the playa is not fun. Bring a cup with you. 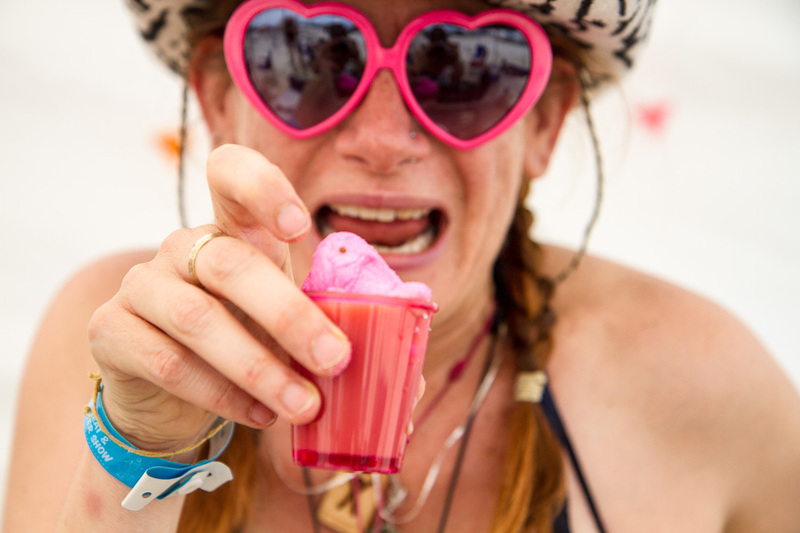 People/camps will offer you booze or other drinks every time you turn around, but you'll need your own cup! It should be a re-usable cup, because you don't want to create more garbage than necessary given that you have to cart it back out again. Carry photo ID. Bars will and do check IDs. One good solution is photocopying yours and then taping the copy to the cup that you'll always carry with you (your cup is your friend). Carry toilet paper and hand sanitizer in your backpack. You never know when you'll need to take care of some serious business, and the porta potty you're in may be out, as may the hand sanitizer station outside the portas. Be an extrovert. I'm probably more on the introvert side in the rest of my life, but I'm a full-on extrovert at Burning Man and it's awesome. Just walk up to people and say hi! Don't worry about seeing X event or a particular DJ too much. 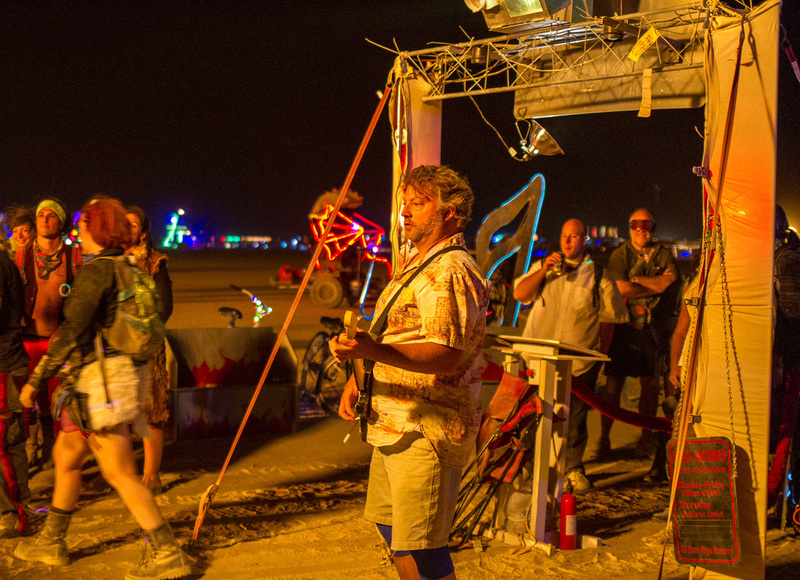 Serendipity is your friend, and Burning Man is so much more fun if you just go with the flow. There's more to see and enjoy than you could possibly do in a week. Explore! Don't be afraid to split off from your friends. Or to make new ones! Again, serendipity! Walk sometimes, even if you have a bike. You get a different level of interaction with camps you pass by when you're on foot. Introduce yourself to your neighbors. Instant new friends! If you think you don't like to dance, give it a try anyway. 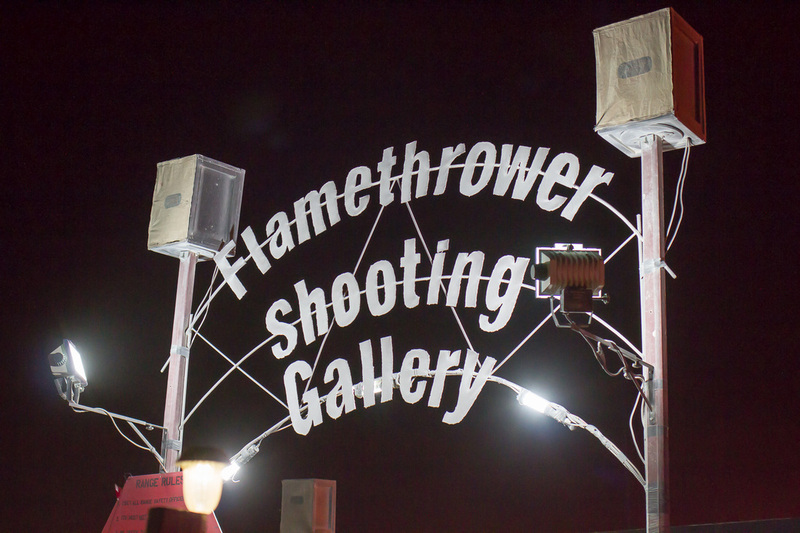 There's nowhere in the world better to dance than our beloved dusty desert, surrounded by Burners. 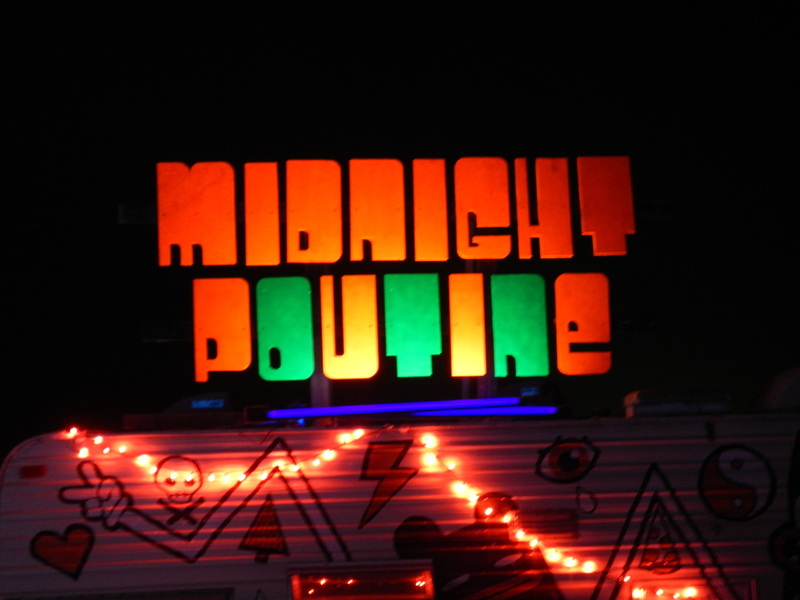 You'll find anything from electronic/EDM/techno (a lot of it) to celtic bagpipes to jazz! Get to know the layout of the city, and where landmarks are, preferably ones that aren't going to be burned and thus disappear. The city can be really disorienting sometimes, but is easily navigated (barring when less than sober...) once you spend a little time figuring it out. If you see an art car you want to get on and it's stopped, just go ask if you can get on. The art car operators are not supposed to turn people away unless they're over-capacity, though there's an unfortunate trend towards some particularly douche-y ones giving preference to attractive females, etc. So, fight this trend by assuming that of course they'll let you on because you're a fellow Burner and this isn't a motherfucking VIP party with velvet ropes and bouncers. Remember that you're in Nevada, on federal land, and that multiple law enforcement agencies are out there. Marijuana is illegal, and your medical marijuana card from California (or wherever) will do you no good. Potentially illegal activities are best not carried out in public. Even if you think you're alone at night, a law enforcement officer might have night vision goggles trained on you (seriously). If you get into trouble, I wouldn't advise involving law enforcement unless you've been the victim of a crime. Instead, find one of the Black Rock Rangers to help you. 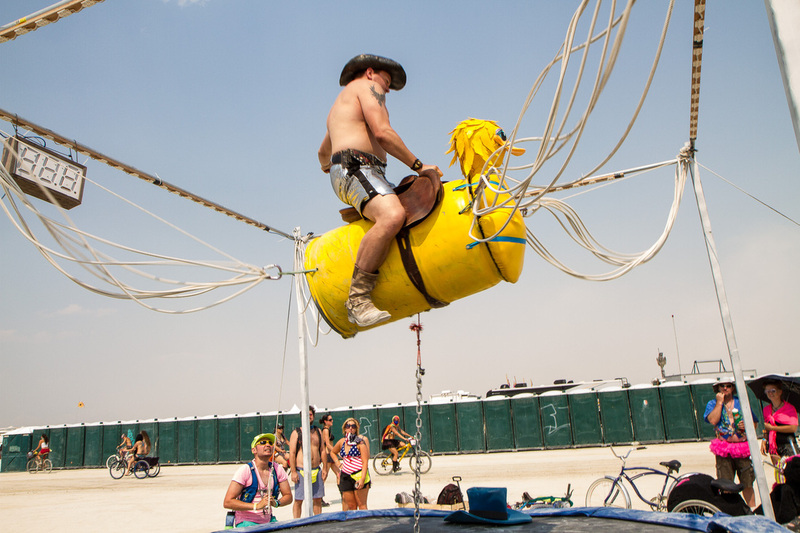 They're volunteers with Burning Man, and they are not law enforcement. They're there to help you. Say Yes. You don't need to say yes all of the time, but you'll enjoy yourself much more if you let go and say yes. I'm a professor of Affirmatology, and I guarantee it!